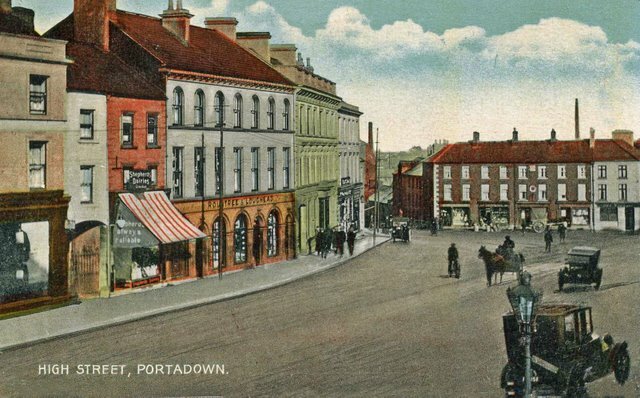 Portadown, a market town in County Armagh, twenty one miles S.W. by W. from Belfast, situated on the River Bann, over which is a stone bridge of five arches. The Newry Canal joins the river about a mile above the town, and the latter falls into Lough Neagh, at its Southern side, and, issuing at the opposite side, forms the boundary between the Counties of Antrim and Derry, and loses itself in the sea below Coleraine, thus forming, in connexion with the canal, a water communication between that place, and Newry, Belfast, Enniskillen &c. There is a station of the Ulster Railway here, which is joined by the Dublin and Belfast Junction line. 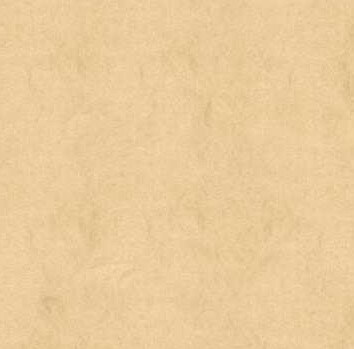 The ancient name of the place was Port-ne-doon, signifying "the port of the fortified eminence." The town consists of a large, well built principal street, and several smaller ones branching from it in various directions. 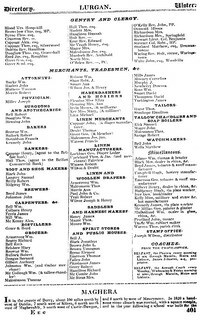 Abbreviations, Sub-Post Offices included in this list: B’corr—Ballynacorr; B’hill—Battlehill; Crab—Crabtree lane; D’ville—Derryanville; D.C.—Derryhale Corner; Mul—Mullantine; S’st—Scotch st.